Horses are such beloved creatures. The special bond between a horse and its owner are often visibly noticeable to outsiders because owners are known to dedicate so much of their life and resources to the care of the magnificent creature. That commitment is truly well deserved, indeed, because horses are good and loyal companions. It’s worth noting as well that it’s simply hard not to love horses. They’re beautiful, graceful and intelligent. It’s no wonder that they have been featured countless times in literary works and film. 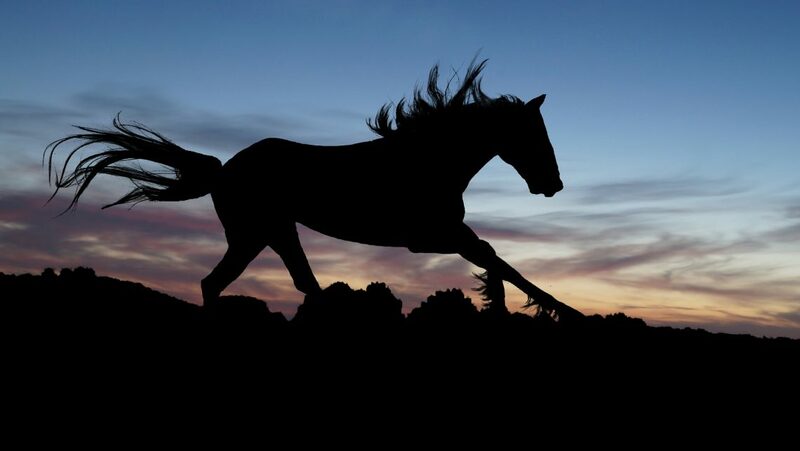 If you own a horse, it’s most likely that you rely on its strength and other physical abilities. Perhaps you’re a competitive horseback rider or you have a farm. Either way, you hold the important responsibility of keeping this beautiful and useful animal strong and healthy. This is a huge task to take on, but knowing the best practices for carrying it out can make the job much easier. Rounded up below are seven of the most important practices when it comes to maintaining your horse’s good health and strength. Even if you don’t exercise your horse frequently (meaning it doesn’t do heavy tasks or train), giving it time to walk and gallop around every day is very important in keeping it healthy. Ask your vet how much time is recommended for daily exercise to keep your horse healthy and maintain its ideal weight. The vet will provide a schedule for vaccinations and it’s a necessity to stay up to date with that. Horses, like most living creatures, are also prone to infectious diseases. Vaccines will boost their immune system and make them less prone to common illnesses. Keep a thermometer on hand, especially during the summer months, because horses easily overheat. Even in the winter, horses can get quite hot after a hard workout. Your horse’s temperature will guide you in effectively going about the proper cool-down exercises. Learn correct massage techniques for your horse to make sure that the body is properly warmed up before performing any type of work. Long massages can help prevent injuries and also promote faster recovery. If you would rather entrust long massages for your horse to skilled equine massage therapists, you can achieve similar results with shorter massages with a massage gel. The gel can provide localized heat to loosen tension in the muscles. Remove the saddle and the pad. If it’s a hot day, hose the horse down to get its temperature to the normal level. Afterwards, rub it down with a towel. Place a cooling blanket on your horse after the removal of the saddle and pad if the weather’s nippy and windy. Let your horse have a drink. Twelve to fifteen gulps are sufficient. Rub or massage the entire horse. Make sure to concentrate on the neck, flanks, and the area where the saddle was placed. If it’s a cold day, use a Turkish towel for the rubdown. Walk the horse at a normal pace to prevent its body temperature from dropping too quickly. If the weather’s cold, use a wool cooler during the walk. TO COOL AN OVERHEATED HORSE (rectal temp exceeding 103°F) spray or sponge the horse's head, back, neck, rump, and legs with cool water and immediately scrape the water off, repeating continuously until the horse is cool. This is an affective cooling method because heat is transferred from the horse's muscles and skin to the water, which is then removed to cool the horse. It is critical to scrape the warmed water off immediately, or the water may serve as insulation and might actually increase the horse's body temperature. Dark horses overheat quicker than lighter colored ones, and horses that are not fit also overheat much quicker. Heavy sweating, or heavy sweating followed by a drop in sweat production, fatigue, stumbling and rapid breathing are all warning signs. Heat exhaustion/stroke is a medical emergency. Purchase all the grooming essentials for horses because grooming will improve your horse’s skin and coat. Likewise, it can reduce the horse’s risk of contracting different health issues such as thrush, which is a bacterial disease of the sole. Grooming also strengthens the human-animal bond. With this bond, the horse develops trust that is essential in going about day-to-day activities. It’s important to mention as well that grooming can help greatly reduce the stress after a frightening experience. This will keep parasites at bay and ensure the good health of the animal. Consult your vet for a targeted worming program for your horse. When you uphold these seven best practices, you are in a better position to ensure a long and happy life for your beloved horse. Farah Al-Khojai is a passionate entrepreneur with a BSc in Government from the London School of Economics.